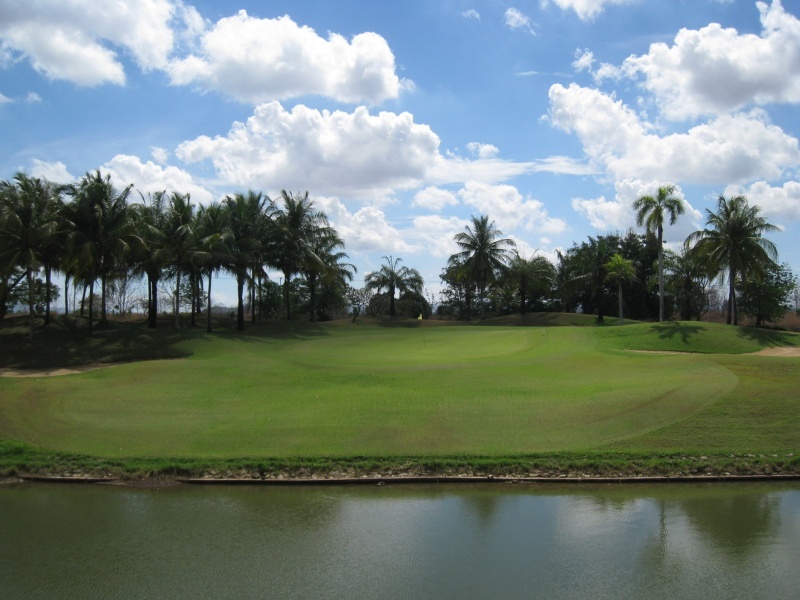 Majestic Creek Country Club is a favorite among locals and expatriates living in Hua Hin as the course conditions are probably the most consistent year round as compared to all other Hua Hin golf courses. The Bermuda grass greens tend to be on the slow side. However, all the greens slope one way or another which makes for difficult side hill lies if one is not careful with their approach shots. The palm tree lined fairways are superb and an absolute pleasure to walk and play on during your Hua Hin golf tour. The clubhouse at Majestic Creek offers a full range of rental equipment, luxurious locker rooms, a pro shop, and nice outdoor golfer’s cafe. 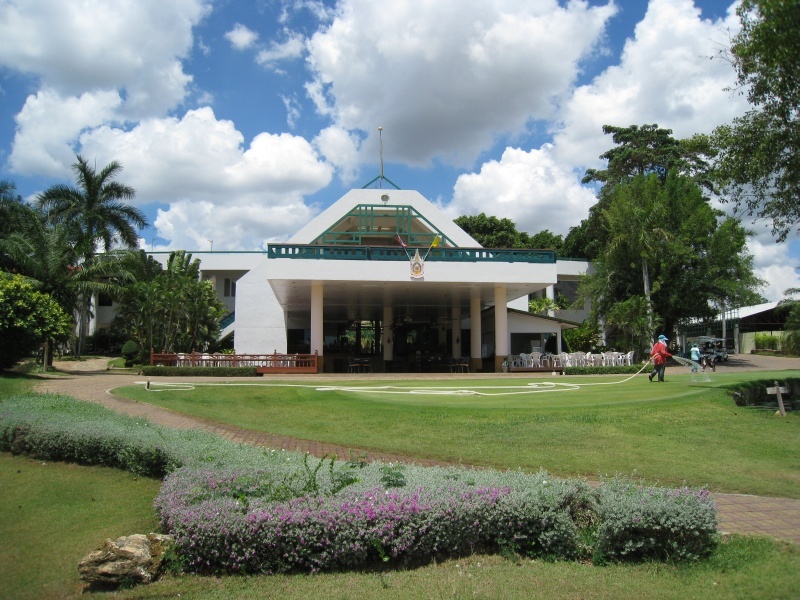 Other facilities include two putting greens, a chipping area and a grass driving range. 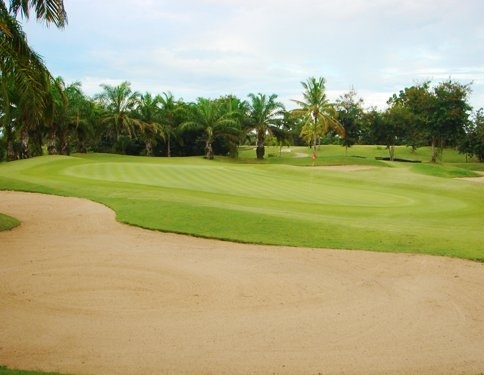 The Majestic Beach Resort is associated with the golf course and operates a free shuttle service for golfers between the course and the hotel. 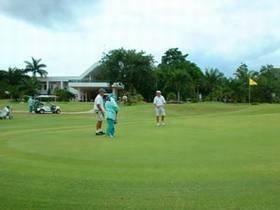 Majestic offers superb golf holes in an exciting layout. The opening hole has a wealth of potential problems, and decisions have to be made. An easy par four for those of us who want to take the conventional route, or if you are the adventurous golfer, then trying to cut the dog-leg corners will really test your skill. 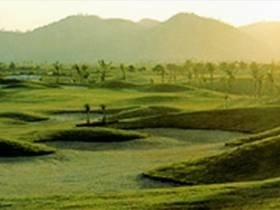 Majestic Creek Country Cliub in Hua Hin offers superb golf holes in an exciting layout. The opening hole has a wealth of potential problems, and decisions have to be made. An easy par four for those of us who want to take the conventional route, or if you are the adventurous golfer, then trying to cut the dog-leg corners will really test your skill. 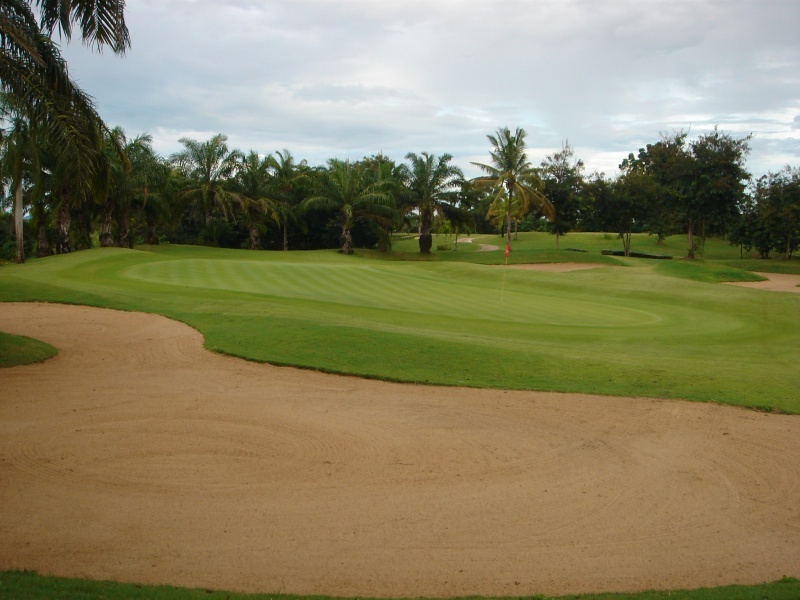 The hazards of the 1st hole will never be far away, and precedes a succession of exciting & equally demanding holes. 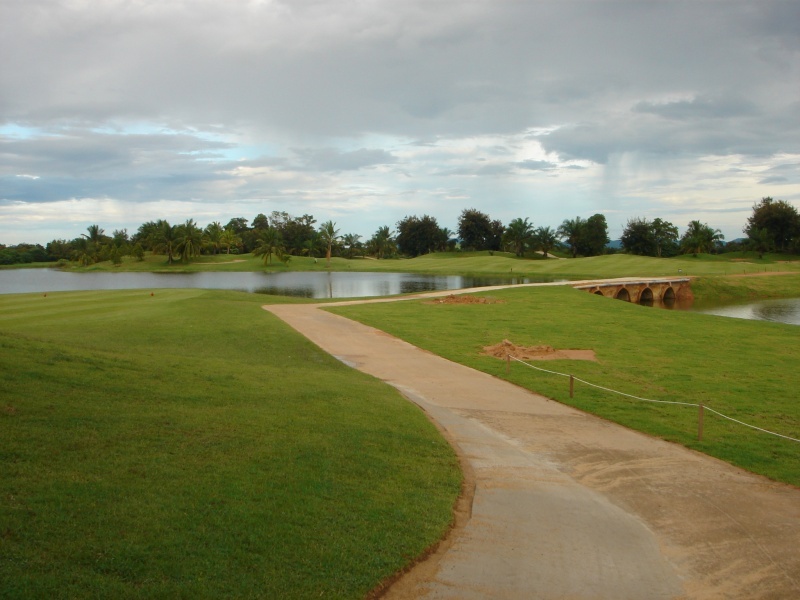 Mountain side location, Majestic offers natural hazards as well as the local designers own input, and will offer a round full of excitement & challenge to any golfer on a Hua Hin golf tour.